This lesson is part of our Farm Theme. This is a fun processed based project on its own, and can be combined with the Tractor Tracks to make a complete product. My son loved this so much we made 6 of sheep- enough for our own flock of sheep!! 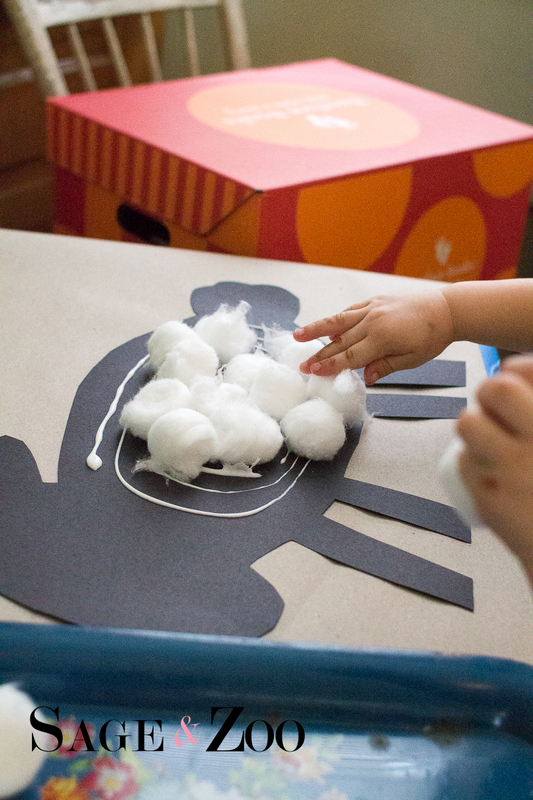 Demo to child how to add one cotton ball, aka wool, at at time to where there is glue. 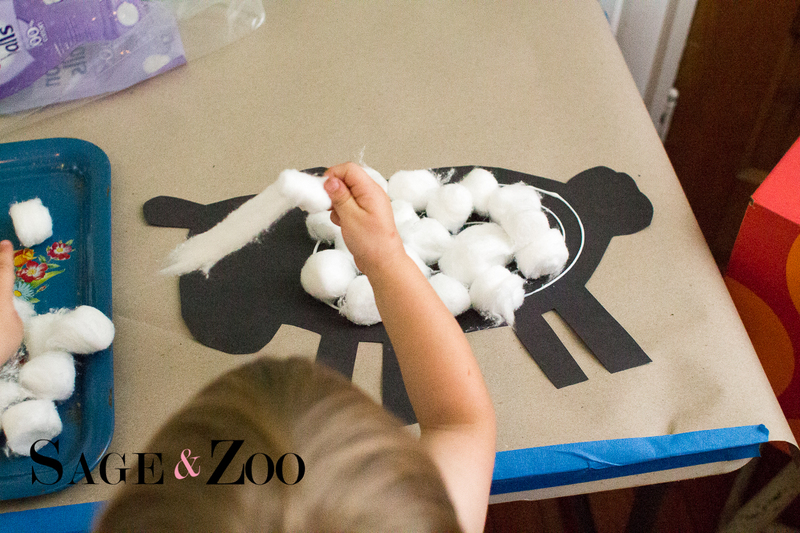 Add one cotton ball, aka wool, to the sheep. When finished, combine with the green Tractor Tracks with cut out Wooly Sheep. 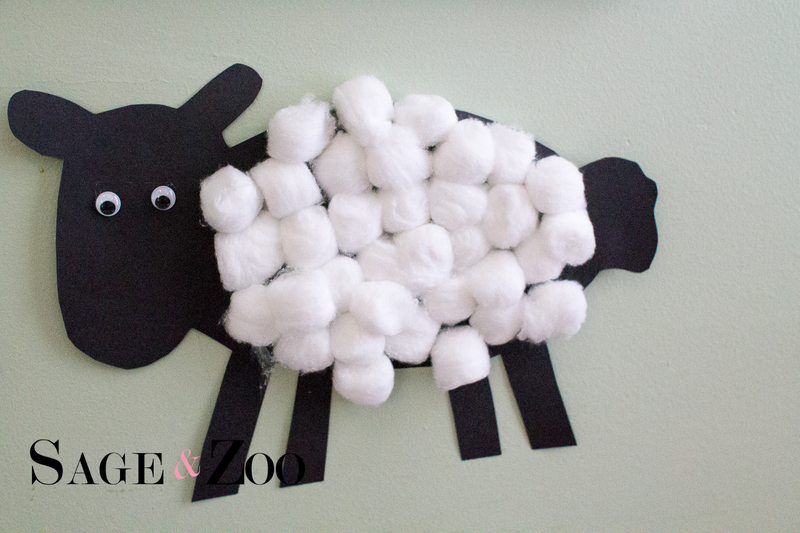 Glue Sheep to the pasture with white glue (have child help you pick where to place sheep, older children can do this on their own). Watch this fun fun video and song.